Description: Interface between umat (Abaqus/Standard) and vumat (Abaqus/Explicit) user defined model standards. Note: the interface is tested with sand and clay hypoplastic umats. 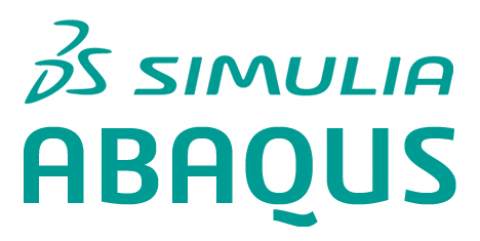 A simple switch should be changed in the umat code when used within vumat, search for a keyword "ABAQUS EXPLICIT" in the umat code. Description of the implementation and a user manual can be found in the following report. How could we include the library of UMAT (ABA_PARA.INC) to VUMAT (VABA_PARA.INC) ? I need to call the ROTSIG subroutine in UMAT but it could not work in VUMAT library. It is highly appreciate if you could help me to solve this problem. 1- Did you have specific reasons with determining the state variables of 2 and 7, when using the following lines in the FORTRAN code? What are those state variables? and Could you put other state variables in this section of your code? 2- In the part of “assignment of further variables used by umat”, you mentioned that you are not quite sure about some lines. Have you ended up with another update version of this code so far? i used interface Vumat with Umat for simulating CEL problem, after 50% of analysis, i got the error as “Excessive incremental rotation of the elements in element set ” i researched the meaning about this error in literature but h couldn’t find how fix it. please advise.